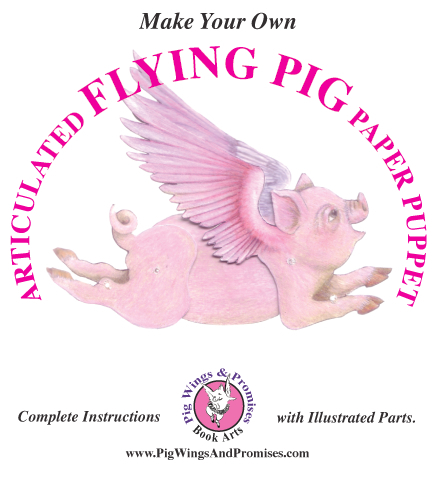 WINGIN’ IT introduces our latest boxed set designed for shelf storage. 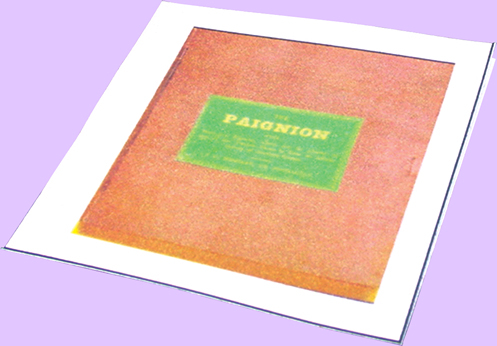 The case opens to a side-by-side view of two doll-backed monographs. Both books are secured by specially engineered "invisible" holders. Each book becomes a free-standing sculpture when pages are fanned into a skirt. 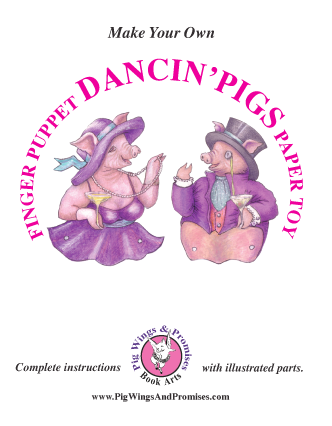 Envelopes behind each figure hold templates and instructions to make four pig-theme articulated puppets reminiscent of 18th and 19th century paper amusements. The limited edition of 100 sets was cut, assembled, and bound by hand in the tradition of the antique Toy Book invented in 1810. 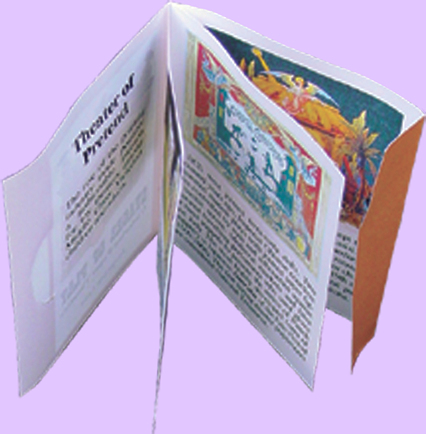 The presentation is designed for collectors of Artist's Books. 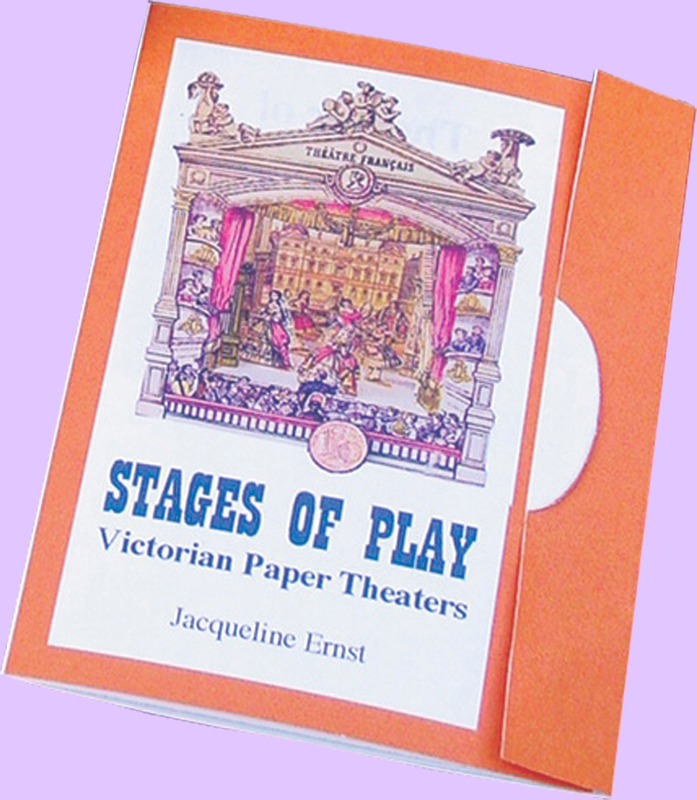 Consequently, both monographs are numbered and signed by the author, Jacqueline Ernst, and book binder, Kenneth Holly. Ernst discusses paper dolls against a changing backdrop of historical context to explain how and why they evolved to record and influence attitudes and commerce of their day. Social, political, economic, and technological developments set the stage for bits of paper ephemera to depict changing perceptions of education, racism, child psychology, human rights, labor standards, pop culture, wearable fashion, literary merit and war-time support. Though the subject is frequently caught with its pants off, paper figures are survivors. During their first 16 centuries, they were buried, burned, bloodied, drowned, and made into purchase incentives, puppets for adults, and proxies for human sarifice. 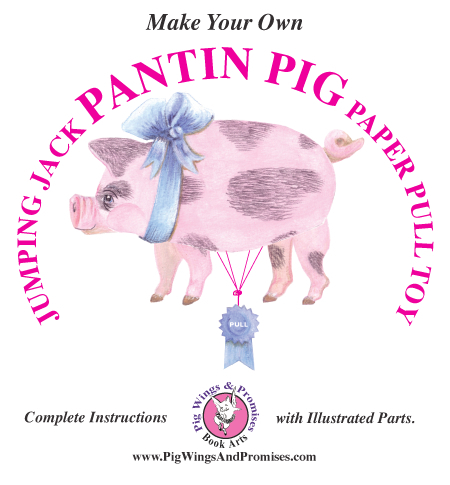 Only in the last 230 years have they been recognized as popular playthings for youngsters. Even in that capacity, they leveraged surprising influence. 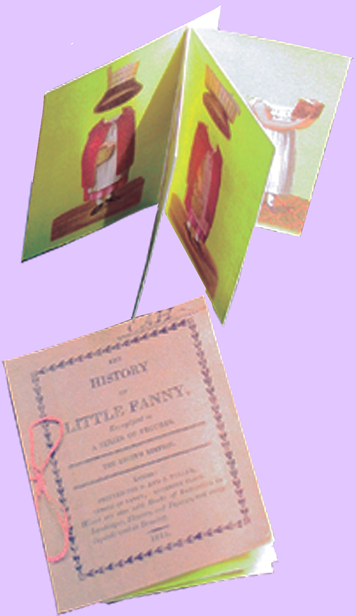 Paper dolls were instrumental in the design of early children's books. They significantly advanced the publishing industry, helped hone printing technology, and influenced international product marketing. 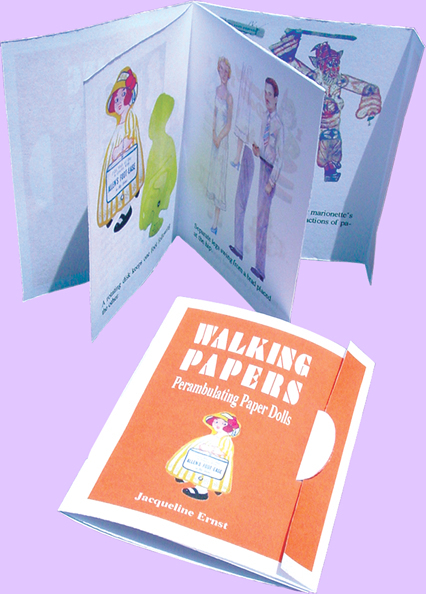 Clearly, paper dolls consistently exceed their most readily identified role as two dimensional paper playthings. Ernst & Holly have hand crafted an insightful, focused study that is also an engaging contribution to book arts. BOX: 8-1/8" x 9-3/4" x 3/4"
100# Kelly Digital Color Copy 98 white, lined with 6-ply orange poster board, both ink jet printed. 5-1/2" x 128" 24# Kelly Digital Color Copy 98 white, cover backed with 80# Wassau Exact Matte Coated white cover, mounted on 14-ply poster board, all ink jet printed. MONOGRAPH: Part 1 -- 34 pages; 11 blk/wht, 26 color illustrations. Part 2 -- 34 pages; 2 blk/wht, 41 color illustrations. 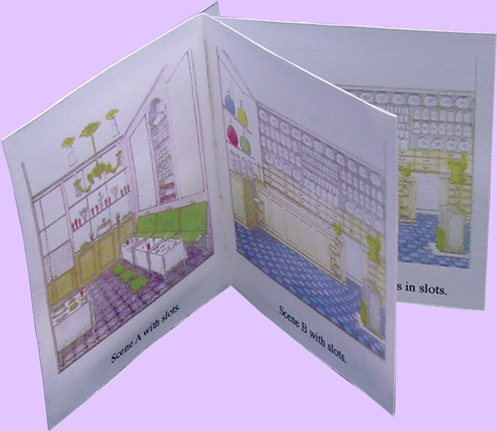 Both books are concertina folded to 5-1/2" x 3-3/8". MEDIUM: Paper, Pacon Poster Board, PVA, Ribbon, Acrylic. EDITION:: Limited to 100 hand bound, signed/numbered. Subscribe to WINGIN'IT and four issues will be delivered to your door for half the retail price of each publication. Another benefit subscribers enjoy is free shipping to any domestic U.S. address specified on the order form. It's time you started WINGIN'IT! $360.00 USA. Use the button below, or the convenient Order Form.